July 1999, the predecessor of the school, "Yunnan Ethnic Culture Communication Co., Ltd." was established, the main cultural exchanges, hosting summer camps, cultural experience of the elderly group, cultural exchange group. In 2000, it started to apply for registration as a private non-enterprise unit "KCEL". However, since it was not yet approved for teaching Chinese as a foreign language, only English training was allowed. In 2003, the school was accredited with the teaching of Chinese as a foreign language and was the first Chinese school approved to teach Chinese as a foreign language and could recruit overseas students. In 2008, the school moved from Wenlin Street Binhu Hotel to the current Fuchun Building A seat. In 2010, the school set up Beichen branch. In 2015, the school set up Dali campus. In 2016, the school obtained Longre English brand authorization and established Longre IELTS Kunming Training Center. Now, we are the first, largest and most professional Chinese school in Yunnan. We have over 18 years of teaching experience. And over 20,000 square feet learning areas, you can not only have distinctive studying experience but also enjoy your life in KCEL. Our college employs professional teachers who use the latest teaching methodology supported by a conducive learning environment. We also offer lectures on selected subjects and related language-study activities. College services are available to a range of international and overseas students. Our courses are designed to meet our students’ needs. In addition to regular and extra-curricular classes, we provide many opportunities to practice the language and immerse one's self in the local culture. Kunming College of Eastern Language coordinates Advanced Learning programs with well-known Universities throughout China. International students who have studied Mandarin and successfully completed the HSK examination will be recommended to these universities to study for a Bachelor’s or Master’s degree or a PHD. ①Awarded the best principal award in Kunming second private school evaluation activities. ②Achieve excellent results in Kunming Wuhua 2015-2016 academic year permit review findings. ③Awarded the title of "Best Mandarin School" at GoKunming's User Reviews. ④Won the third prize in the "students in the eyes of China" essay contest. 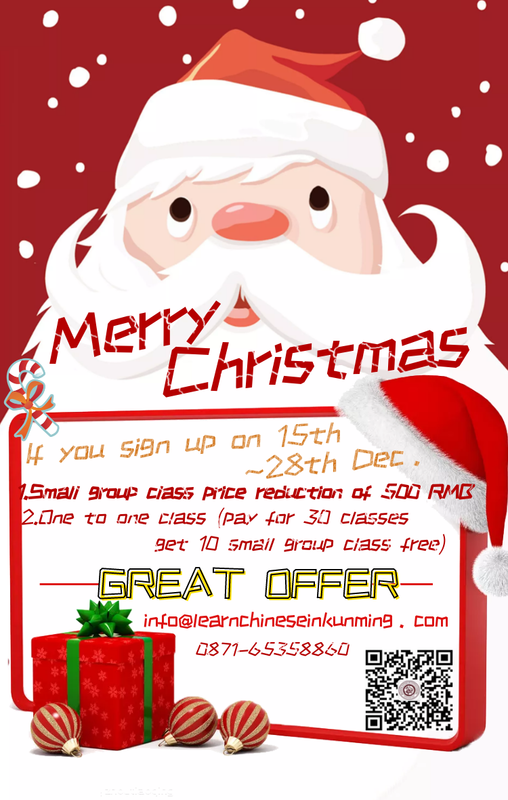 ①KCEL have a Qualification of Teaching Chinese as a foreign language. ②KCEL is the “Authorized Test Center and Training Center for International Chinese Language Teacher Certificate, Yunnan Branch of Beijing Normal University”. 1. Quality Guaranteed teaching: All students will have a Chinese language test before they study in our college. Our college will seek to ensure every student' HSK level will increase one or two grades after taking Chinese language training courses for one semester. There are usually 8-20 persons in one class. The methodology used is scientific, proven and flexible, making it easy for teachers to understand each student's individual needs. Students have more opportunities to communicate with each other than in a larger class, assuring the steady, sure progress of their Chinese. This means one teacher teaches one student. The curriculum is designed according to students' requirements and conditions. Students have plenty of opportunities to communicate directly with their teachers, assuring the rapid improvement of such language skills as listening, speaking, reading and writing. An experienced bilingual tutor will be arranged for each student to help resolve difficulties and offer study guidance. Chinese students will be assigned as an international students' studying partner to resolve your difficulties in studying, help you overcome some problems encountered in your daily life, and enrich student life in China. Student's language abilities will be checked within appropriate environments. We will have students practice what they have learned and enable them to be enthusiastic learners in different social situations. The teaching methodology, curriculum, class time etc, can be arranged according to students' requirements. If students aren't satisfied with a teacher or teaching methodology, a new teacher will be arranged and methodology adjusted accordingly. While our school is especially concerned with the teaching of the Chinese language, classes in Chinese culture, especially Yunnan local ethnic culture will be added to the curriculum, including lectures on Yunnan ethnic culture, and various culture skills courses are available for students to choose. Our school makes use of holidays or festivals to organize for students to take part in various cultural ceremonies or performances held in Kunming. Students will also be given opportunities to visit factories, farms and schools and take part in sports activities such as football, basketball, volleyball, mountain climbing and other games. We will arrange for students to visit ethnic regions and scenic spots so as to provide students' with a wealth of experience and to develop an appreciation of the unique and multi-faceted nature of China and its ethnic minority cultures. Participation in local festivals and competitions will be encouraged. It can be arranged to have international students live with Chinese families, making it easier for them to learn about the customs and life of common people and provide them with more opportunities to practice and improve their listening and speaking abilities in Chinese. If international students are not willing to live in our international students’ dormitory, students are allowed to rent apartments outside the campus and our college will assist you in getting this authorized. International students can make their own decisions concerning how many hours they would like to study and pay tuition according to the teaching hours.